As a medical practice manager, one of your duties is probably medical billing. Whether you outsource your medical billing or keep medical billing in-house, the job can be overwhelming and stressful. Most medical practices and hospitals rely on an efficient revenue cycle in order to survive. If there’s a breakdown in productivity, everyone suffers. Those in the healthcare industry are some of the noblest people on the planet; however, like the rest of us, they still need to pay their bills. If you outsource your medical billing and coding services and are unhappy with the services you are receiving, Comprehensive Healthcare Revenue Management (CHRM) can help. We offer revenue cycle management services in the areas of orthopedic surgeons, oncology, freestanding emergency services, physician billing, and hospital billing. Contact us today! Don’t be blinded by price. When you want the best in anything—be it service or products—expect to pay a premium. 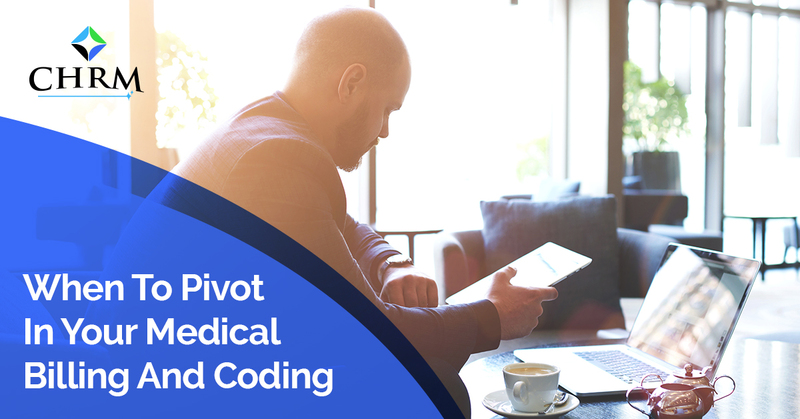 When it comes to medical billing and coding, you want experienced coders who know what they are doing, who are committed to fighting for every dollar you deserve, and who are focused at work, which eliminates errors. CHRM utilizes the best in technology, which aids in all of our medical billing processes. Some companies have antiquated computer programs that are error-prone and have coders spending more of their time doing data-entry instead of actual medical billing. Technology is key. If your medical billing and coding company is still doing manual data entry and using fax machines, you need to look into switching immediately. You want medical claims submitted immediately, utilizing remote billing, and medical insurance checked before the patient arrives. If possible, the coders should have direct access to patient and insurance information as well as clinical notes, helping to eliminate submittal errors before they are rejected. You also want a company that jumps on medical denials and deals with them immediately instead of on a post-it “to-do” list. Choose a medical billing company that uses cloud-based revenue cycle management software. These software programs automatically put your software into compliance with HIPAA data storage regulations. Insist on complete transparency. Luckily, more and more medical billers are operating on a complete transparency policy. However, some medical billing companies still live in the Dark Ages and don’t give you access to your financial data. Now, especially if your medical biller is on a cloud-based system, you can expect 24/7 access to just about any financial information you want to know, such as revenue cycle monthly reports, reconciliation reports (which show charges, payments, write-offs, adjustments, open bills, and posted payments), and information about open payments, such as user, provider, and medical insurance pending. Comprehensive Healthcare Revenue Management is looking to help more orthopedic surgeons and all oncology specialists with their medical billing and coding. We have a dedicated oncology billing manager who manages our team of coders who only process oncology claims. We understand the details and specific procedures orthopedic surgeons and oncologists offer, which allows us to maximize their revenue cycles through minimal claim rejections and denials. If you’re an orthopedic surgeon or an oncologist, we’d love to speak to you about how we can help your practice succeed. Contact us today! As most medical practice managers know, medical billing and medical coding are complicated. Codes change, usually annually. Claims are denied, sometimes for seemingly random reasons. Submittal errors are common, resulting in delayed payments and prolonging the revenue cycle. Finding a medical billing and coding service that is transparent, holds themselves to the highest standards of customer service, puts excellence in all that they do, and is honest can be near impossible. Luckily, Comprehensive Healthcare Revenue Management is here to help. As the Top Rated Local® Medical Billing company, CHRM exists to make your practice run smoothly and efficiently. We’ll handle the medical claims and the headaches that come with dealing with insurance companies, so you can attend to your patients’ needs. We have the best staff, trained in all of our specialty areas such as orthopedic surgeons and oncology, who have extensive knowledge and experience in their specialty. We invest in on-going training and stay abreast of all the changes in coding (ICD-10 coding has been implemented across the industry since 2018), technology, and in regulations and policies. We aim to keep rejections and denials to a minimum, so your revenue cycle is not impacted. CHRM increases your collection rate and provides an analysis of your accounts receivable on a monthly basis. With access to your data, you can generate on-demand reports and view your day-to-day finances through our software. Comprehensive Healthcare Revenue Management puts our clients first. We offer a free, one-time audit of your costs in-house versus our medical billing service fees as a part of our initial proposals to ensure we are a good fit with your practice or facility. Our goal is long-term relationships with our clients. We support you always through answering all of your questions and helping you understand your data. CHRM’s mission is to help medical providers, hospitals, physicians, clinics, and freestanding emergency rooms as well as orthopedic surgeons and oncologists be the best they can be. Contact us today for all your medical billing and medical coding needs!